If you really want to grow your blog you need to only focus on one thing and that is building connections. I hate the phrase “it’s who you know” more than anyone else in the world, but it applies to blogging. When the big bloggers show you love, then your blog starts to show tremendous growth. When they ignore you, then you might find that it takes months or years before you start to get any kind of traction. It’s great that you’ve spent time building a blog business plan and writing awesome content, but without relationships, you are just wasting your time. I would argue that you are better off trying to build relationships with influencers first before you even start to write any type of content. Your life will completely change after you have some strong relationships built up. This is the down and dirty work that separates the people that make it with their blogs versus those that struggle. I’ve read over 100 different blogs this past month trying to understand what separates the minnows from the marlins. I’ve seen bloggers be so happy that they were able to make a couple thousand dollars in their first year of blogging and how great it was to finally reach 1,000 pageviews a day. I can understand why those numbers are exciting, but to get those numbers after 12 months of hard work means you didn’t spend your time wisely. If you spent over 1,000 hours at your job and made just $4,000 would you be happy? Probably not. You would consider it a complete waste of time, so why do bloggers waste so much time on things that won’t help their blog grow? Probably because they don’t understand what they need to do to actually grow and that’s the hard truth. Two people decide to open their own shops. One person builds their shop out in the middle of nowhere, while the other person builds their’s across from a stadium. Who has the better chance of success? The stadium shop of course! But why? It comes down to getting the shop in front of people. The exact same thing applies to your blog. If you can use someone else’s audience then you have a great shot of getting decent traffic. Why should I build an audience from scratch if I can get a bigger blogger to give me a shout out in front of their audience? I know it all makes sense to you so the next question should be how do you get noticed by the bigger bloggers? Before we dive into how to build connections with the influencers in your niche, let’s talk a bit about how to find them. It’s going to be hard to connect with people if you don’t know who they are, right? If you’re a Pinterest user then you are in luck because Pinterest will help you out greatly here. Assuming your interests are the same as your blog’s you’ll find that the best bloggers always seem to creep into your feed. After a week or two of browsing your Pinterest feed, you’ll notice a trend of certain sites always appearing. This is a good start. Sites that are doing well on Pinterest are usually doing well overall. 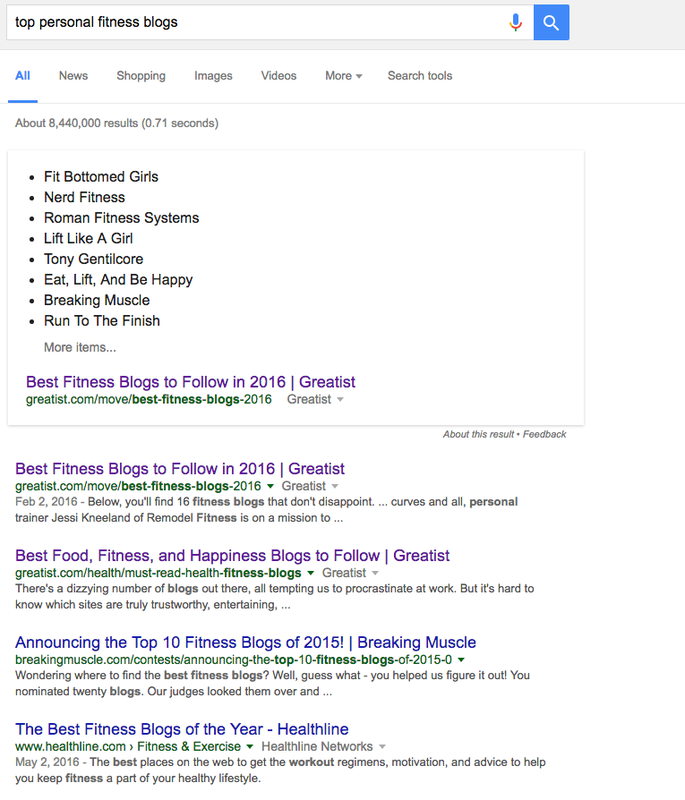 That’s all you need to type into Google and more than likely you’ll be presented with dozens of posts where people have done roundups of what they believe to be the best blogs in that niche. Bloggers are nice because they’ve done all of the work for you already! Aren’t bloggers the best? Once you immerse yourself into your niche you’ll find that the influencers start to randomly pop up into your view. It’s like if you talk about red cars today and then for the next week all you see are red cars. Reading blogs will lead you to other blogs. Looking at comments might help you to uncover some gems. You just have to be active in your niche. Once you’ve gathered up a nice list of influencers what do you do now? I would love to tell you that all bloggers are created equal and they are as human beings, but not as drivers of traffic. What this means is that the approach you take for a Tier 1 blogger will be different than the one you do with a Tier 3 blogger. How do you differentiate between Tier 1 and Tier X bloggers? It all comes down to metrics. A spreadsheet. I like to use Google Docs for this. All of these tools are free although there are paid tiers for the Moz tools. So what do you do with these tools? In this column you are going to use Moz’s Followerwonk. Sign up for free and then go to the Authority tab and type in the Twitter name of the influencer you are investigating. If they have over 50,000 followers you won’t get all the stats that you want unless you opt for the paid version, but for a large majority of the influencers you are researching you should be alright. When Followerwonk is done you will be presented with a Social Authority score. 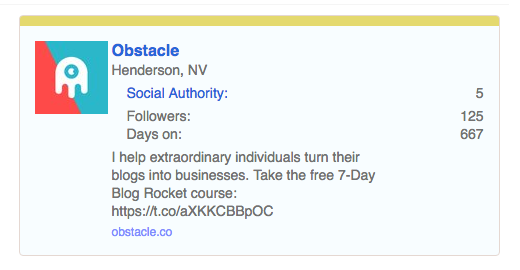 Obstacle.co has some work to do to up its Social Authority! Once you have this value put it into the spreadsheet. For this column, you are going to use the other Moz tool Open Site Explorer. Simply enter in the URL of the influencer and wait for the results. In this column, you are just adding the Social Authority with the Domain Authority to get a total score. This will help you sort your influencers into different tiers. The Email and following columns are just ones that I use to let me know if I’ve reached out to the blogger via email and if they have responded. As time goes on you should continue to grow this spreadsheet as you come across more and more influencers. Now that it is put together how do you connect with everyone in your spreadsheet? It’s easy for some quack (*cough*) on the Internet to tell you that you need to build connections, but how do you make that happen? Do you just blindly start reaching out to people? You could, but not many bloggers like that approach. The popular bloggers get enough unsolicited cries for help that having you add to the pile isn’t much help. Plus, a lot of them don’t even read their emails anymore. They have their VAs do all of that so you’ll be lucky if you even get filtered through the first checkpoint. Below you’ll find some of the best ways to get noticed by the leaders in your industry. There is one thing that I both hate and love and that’s when I see an awesome post on another site that makes me wish I wrote it. I love it because I feel blessed to have come across the content and I hate it because it’s not on my site. Whenever I come across a piece of content like this I make sure to share it with my audience without any hesitation. Great content that provides awesome value deserves to be shared. That means you should be creating something great. Something that other bloggers want to share with the world because they love how awesome it is. One of the biggest boosts in traffic and subscribers that I received was when Michelle Schroeder pinned my post on making $500,000 in a year. Bigger bloggers surf the web just like you. They like good content just as much as you do. The question is are you are willing to put in the time to create that great content so you can be better than them? On Day 2 of the 7-Day List-Building Challenge, you learn about what makes great content so great. I read a lot of blogs every day and when I see something that could be improved I send the blog owner an email. I’m not going around purposefully trying to find things that are “wrong” with a site, but if I feel something can be improved then I should let the person know. For example, not too long ago I reached out to Alison over at Dapper Fox Design to let her know some ways she could increase the chances of her awesome posts being pinned. I didn’t have any ulterior motives behind doing this besides the fact that I wanted to be helpful. When you are helpful, people take notice. Don’t create a world where all you do is take. Give more than you receive and you’ll find that awesome things happen on down the road. It’s a great feeling to receive an email with the subject line X has commented on…. Getting comments on a blog post are awesome, but they are even better when they provide immense value. That comment isn’t doing anything for anybody. It might make the blog owner smile for a second, but will it make them notice you later? For other people that visit the site will it make them click on your link? 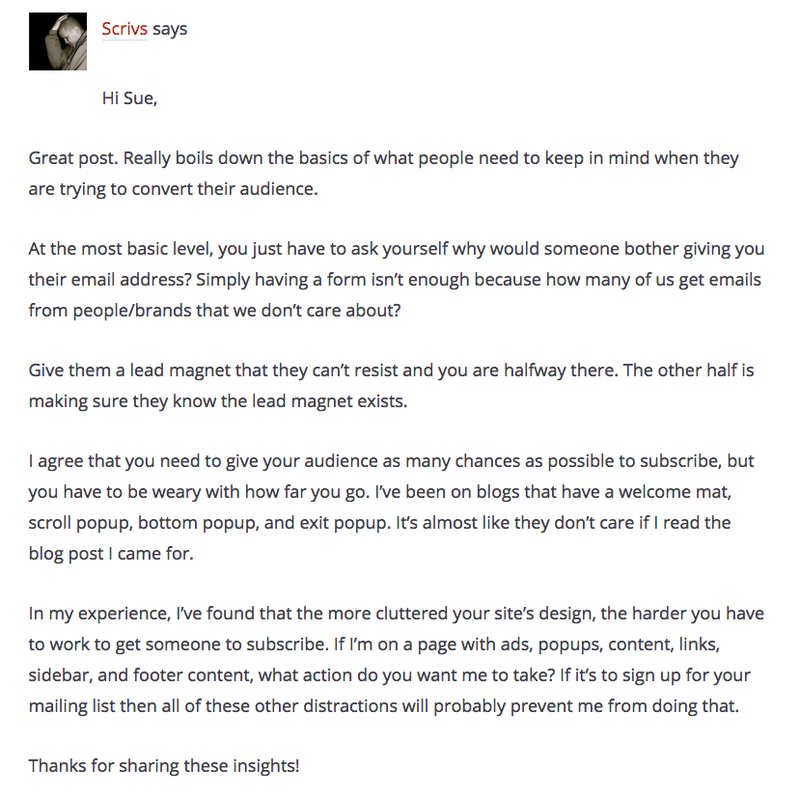 When you write awesome comments on other people’s blogs, their audience will click over to your site. It won’t be a lot of people, but it will be the ones that notice awesome comments when you see them. What kind of comments get noticed? Contrarian. It’s okay to disagree with a blog post as long as you do it respectfully. Questions. Dive a bit deeper and ask a question to the blog owner that goes further into the post topic. Experience sharing. Do you have a similar experience to that of the blog post? Share it with the audience. Complementary. Not everything can be covered in a blog post. Why don’t you fill the holes with some of your own insights? These are just some of the comments that I’ve left on other blogs over the past couple of months. I don’t go around commenting on every post that I see because not every post deserves attention. However, I make sure to not waste my time or the blog owner’s time with comments that don’t bring value to the table. If you ever get a comment from me on your blog, you can expect to receive a mini-blog post. Every big blogger is on social media. You just need to find out where they are at and see what they are talking about. This can be a bit tricky because a lot of their posts will be automated so it can be hard to find when they are having actual discussions. On Twitter, for example, you could just reply to any tweet or you can find an ongoing discussion and join in. To do this head to Twitter.com of the blogger you are looking to monitor. You know what? Let’s use a real example. For my education company, one of the big players is Smashing Magazine. If I can get their attention then I can potentially have access to hundreds of thousands of people. 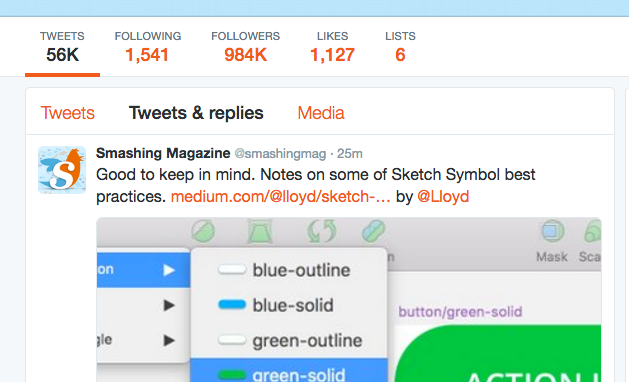 Looking at their Twitter profile you can see the tab for “Tweets & Replies”. This is the tab you want to look at because it shows you who they are replying to. These are the conversations that have potential. 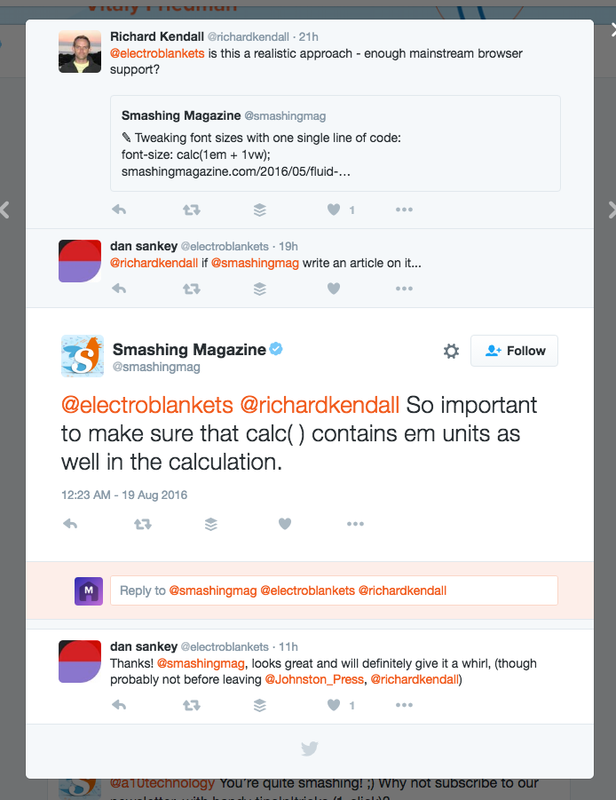 Scrolling down I can see they’ve replied to @electroblankets and @richardkendall. Clicking this tweet to get more details show that it is a nice thread on development. This would be the perfect discussion to join. You aren’t trying to sound smarter than the rest of the people in the discussion. Just like comments, your goal is to bring value to the discussion. Nobody wants to be interrupted by someone that is wasting their time. A good business person never ignores their customers. If you purchase a product from a blogger then you already have their ear. This also gives you the opportunity to be involved in a case study. One of the best ways to sell a product is by showing an audience that others have made it work. You can be that case study which can drive a healthy amount of traffic your way. I haven’t met a blogger yet that doesn’t like to have others write about them (assuming it’s positive). Figure out some awesome topics you can write about that will incorporate influential bloggers in your niche. One type of post that you can do is what is called a Round-Up post. In these posts, you come up with a simple question and email a number of people to compile their answers for the posts. The advantage of this type of post is that everybody that responded to you will probably link the post that they are in. You promote them and they end up promoting you! If you need someone to start with, send something my way! I’ll join in on a roundup post and then will promote it out to the world! That is of course, assuming it is good. If you are just putting together a five paragraph post that has a couple of people’s opinions about something then that isn’t going to be worth anyone’s time. Just because you are promoting other bloggers doesn’t mean it’s an instant share by them. They need to curate the things they share with their audience so they remain industry experts. All of this advice might be stuff you’ve heard before but you were hesitant to do because you wanted to wait until your site was ready. Listen, your site will never be completely ready. There will always be things you want to improve with it. The closest you will get is mostly ready and that is good enough. You can start to establish relationships with other bloggers before you even launch a blog. There is nothing that says you need to tell them about your blog on day 1. Why not just go out and help people out? 6 months later you can come back and let your awesome new blogging friends know about your blog. Because your relationship is stronger than superglue they will be super pumped about it. The lesson is here is stop waiting for everything to be perfect before you start laying down the foundation. It’s like waiting to talk to your crush until after you get a driver’s license. Don’t be silly. Get at it. You don’t get what you don’t ask for so I’m asking you to take a second to share How to Build Relationships That Grow Your Blog Quickly with your audience. They respect great content.